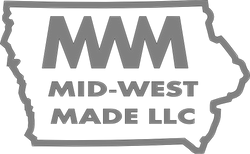 Our line of shop storage products are Made In USA by Mid-West Made LLC. All parts are CNC cut & bent and powder coated silver vein. They are designed to provide simple solutions to help keep your shop clean and organized.